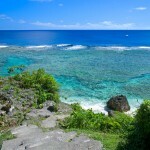 We have just had a wonderful week in Rarotonga in the Cook Islands. 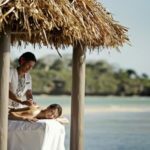 But there was some other things that I thought were definitely worth adding to your list of must-dos…. 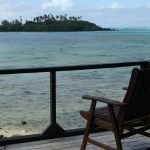 Fruits of Rarotonga – great little snorkel spot. Sadly not even mentioned in Lonely Planet. Walk anywhere on the beach. 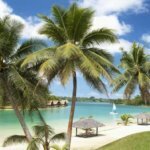 Below high tide mark is public access – so strolling along the beachfront at low tide is a great way to see the island, and some of the beaches at the expensive resorts without staying in them. Below high tide belongs to all. 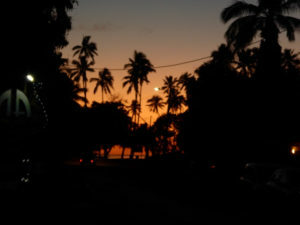 Also visit Resorts to eat if not to stay – most have public cafes and bars for a nice night out. We tried Aqua and Nautilus, both fantastic food. 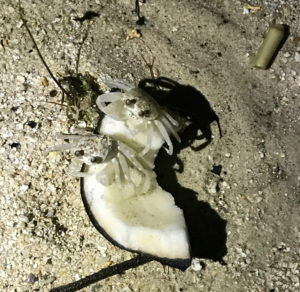 Walk the beach at night to spot the crabs! We were looking for coffee, but the gardens are AMAZING. 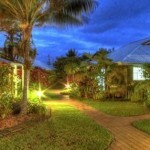 Alive with tropical flowers, plants, secret nooks and butterflies, it even has a purpose built wedding venue. This place is gorgeous. If you are not eating at the Hidden Spirit Cafe it is $5 to see the gardens. 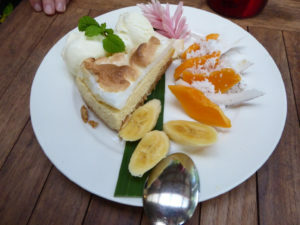 They do very nice plunger coffee and cheesecake that is not to be missed – today’s was Lemon Meringue – beautifully presented with two scoops of ice cream and fresh pawpaw and coconut. The cafe is for sale if anyone is looking for a new business opportunity. Not open in evenings. Inland road – Ara Metua This is perhaps oldest road in Polynesia built of coral foundations in the 11th Century. It is narrow, quiet and this is where the food is grown and the locals live. A few more hills if you are cycling. The forest takes over after the first row of houses in most places, and the towering interior mountains are beautiful, often with mist swirling around them. Access to the inland road is not well sign posted – often little more than a track. 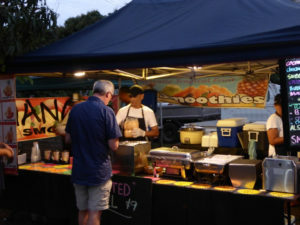 Muri Night Market – good cheap food with a great atmosphere. This is open Sunday, Tuesday, Wednesday and Thursday nights. Take your own cutlery and save using plastic. Papua – formerly Wigmore’s waterfall – Dry in the winter, but this is also the beginning of the cross island track. So if you want to see a bit of the inland forest, this is a good place to do it. 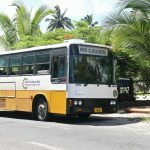 A small fee for access – $2 for motorbikes. Best coffee Generally coffee is not bad – and they know what a ‘flat white’ is. But our best was the Cafe in the Beachcomber building which also had a great gallery and collection of vinyl records you can play while you sit. 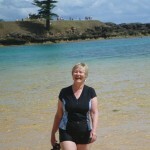 Also the site of the stunning Tav Clothing – definitely worth a visit. 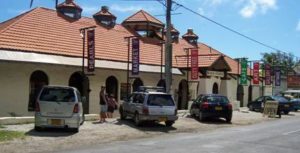 This is one of the oldest buildings in Rarotonga, having been built in 1845 by the London Missionary Society. Tav Clothing I decided this was worth a separate item on my list. Fabulous local made clothes from sizes 8-20. One outlet in the Beachcomber building above, another at the back of the town centre – there is another in Otahuhu! I came away with something that I love wearing – not cheap but beautiful :). Those who know me know shopping for clothes is not my thing, but this shop was fabulous. 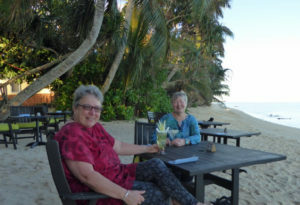 Dinner on the Beach Vaima’s just past Whigmores Super Store if you are coming from the Muri end of the island. 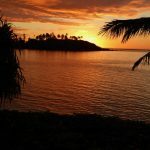 Make sure you book a table on the beach at sunset – absolutely magical – your toes in the sand, a comfortable chair and table, the waves crashing on the reef, and delicious food with very attentive staff. Five stars! Follow them to find local secrets – we followed the one saying vanilla near Muri to find a local man drying vanilla, making vanilla essence, growing vanilla and cocoa plants in an old lean-to. Also making local rtd drinks from the vanilla and other local products. I have to add a number 11! 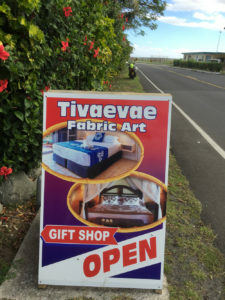 On our last day we discovered Tivaevae Fabric art – on the main road near the airport. 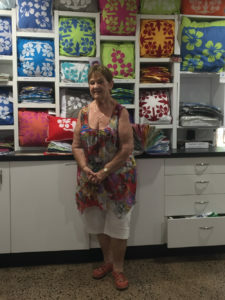 Anne is an expat New Zealander retired to the Cook Islands, and she has built this business to showcase local pacific designs. We have bought two bedcovers – free shipping. Covertogs – Five Reasons I love them!